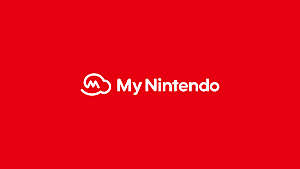 Nintendo has released another batch of minigames for Miitomo! 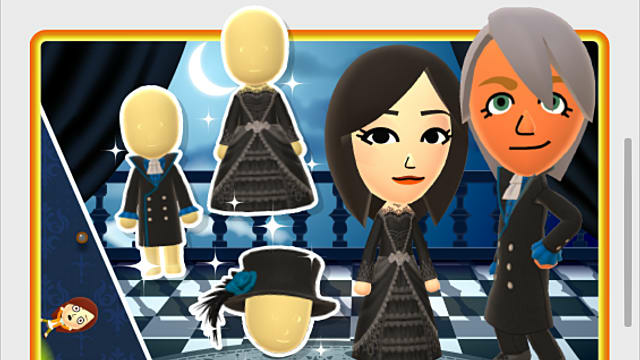 This week on Miitomo Drop we have the chance to win sets of Gothic Fashion. There are 3 new Miitomo Drop stages for the Gothic Fashion event. These stages are only available until May 15th, 2016, so hop on Miitomo posthaste if you desire any of these snazzy outfits. As always, winning the outfits and avoiding the candy can be a challenge. 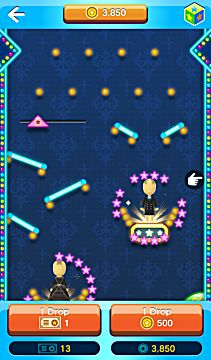 The Gothic lord coat on the right, for example, can be obtained by dropping your Mii on the far right of the screen and timing it just right so you fall between the surrounding stars. Similarly, you can get the Gothic lady gown by dropping on the far left with good timing. 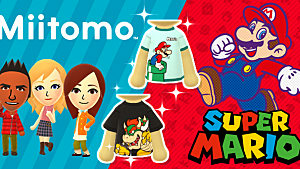 Once you win an article of clothing, you can pick between 3 different color schemes. 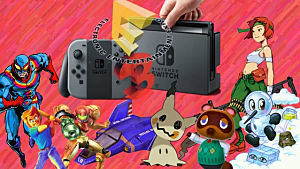 In order to get an item in every color, you must win it 3 times. 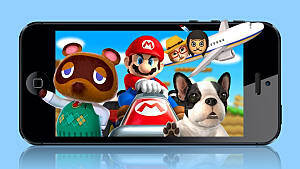 In Miitomo Drop, the key to getting the outfits you want lie in the timing of your drop. 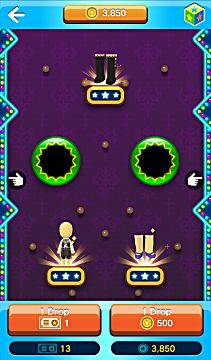 The Goth-punk boots, for example, can be won by dropping on the far left of the screen, timing your drop so you bounce on the moving platform. Conversely, dropping from the right side can net you the Cat-ear hat w/ chains if you time the fall between the moving platforms correctly. If you miss it, however, you'll probably land on the Goth-punk girl outfit anyway. This final level is a tricky one. 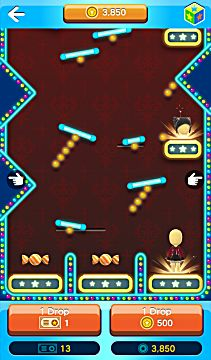 Dropping in the middle can get you any prize on the screen, depending on what time you make the drop. I got the Dark faerie tights by dropping in the middle and hitting the sliding triangle as it passed under me. You can get the Dark faerie dress by timing your drop so the triangle keeps you square on the platform when you bounce. 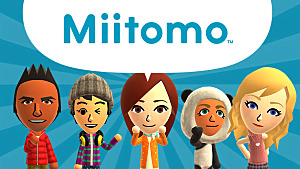 Come back next week for another batch of Miitomo Drop minigames. 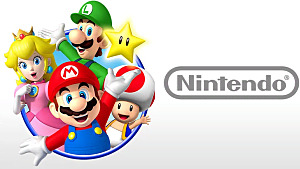 Who knows what Nintendo will throw at us next? What do you think of the Gothic Fashion set? Sound off in the comments below! 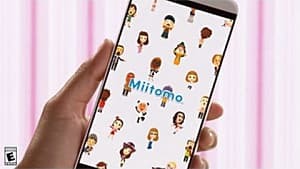 Major Miitomo Update: What’s Changed? 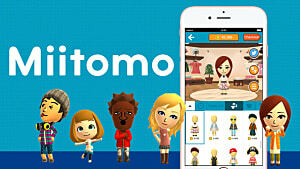 Free Miitomo Rewards Coming Soon!